Japan is an incredible safe country, violent crimes rates (and crime rates in general) are among the lowest levels in the world. Americans are familiar with mass shooting and gun violence, so it is not unusual to see security officers or even metal detectors in schools. Despite the social safety and stability in Japan as well as the limited access to firearms, there have still been acts of violence that have shaken Japan. Most foreigners are aware of the sarin gas attacks on the Tokyo subway that were perpetrated by a religious cult (Aum Shinrikyo) in 1995, sending thousands to hospitals and killing 12. Foreigners are much less aware of the “Osaka school massacre” of 2001. In Osaka, at the Ikeda Elementary School, a mentally ill man went on a rampage with a kitchen knife, killing 8 and injuring 15. College guidance counselors generally tell students to have fun and enjoy their campus visits. But it has NOT been fun this summer … instead, it has been physically exhausting walking sprawling campuses with my daughter in this heatwave. Being Round Two for me (the last time I went … was with my son four summers ago – time flies! ), the college visits are now a little easier to navigate. However, my daughter would like to explore campuses with fresh considerations, even though she will be trying for admission to the same course as her brother (some sibling rivalry at work here). Going during the tepid heat turned out to be a good idea, as it allowed us to judge the comfort levels within the buildings, green shields and whether air-conditioning was adequate. Many Open Campuses allow eager students (and parents) access to many, if not all of the student facilities. 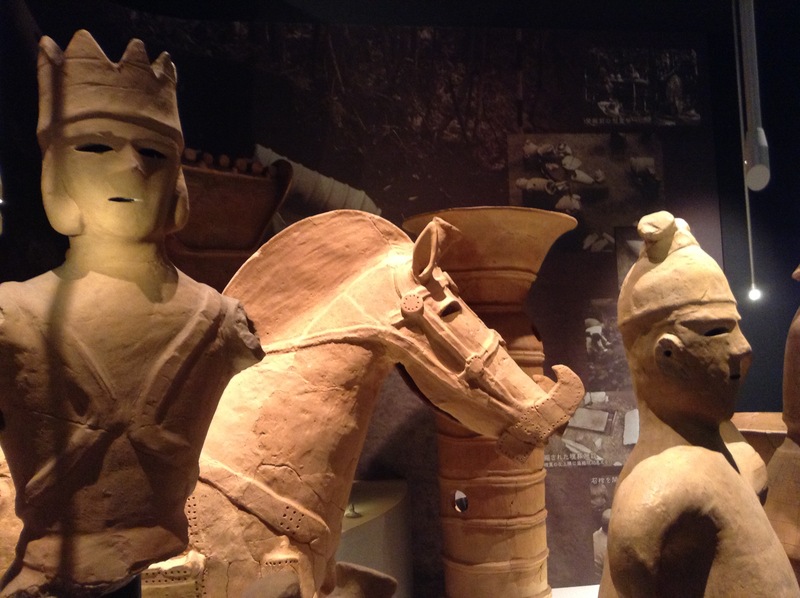 While it may not be possible for out-of-towners, we recommend that you not rush your visit. 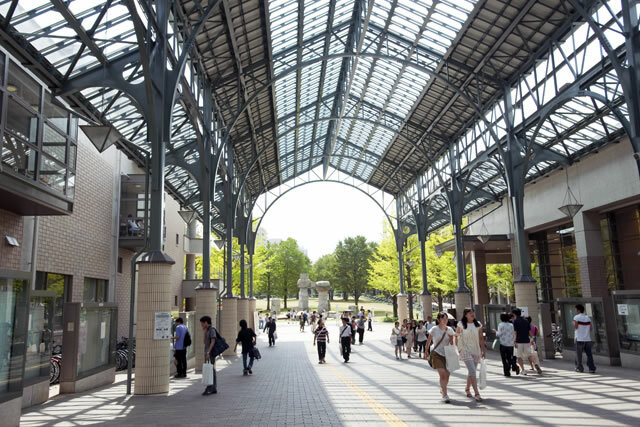 Allow enough time for unstructured time (outside the seitsumeikai information session and official tour) to walk the campus to get an overview of the general campus infrastructure, its size and character of its community. 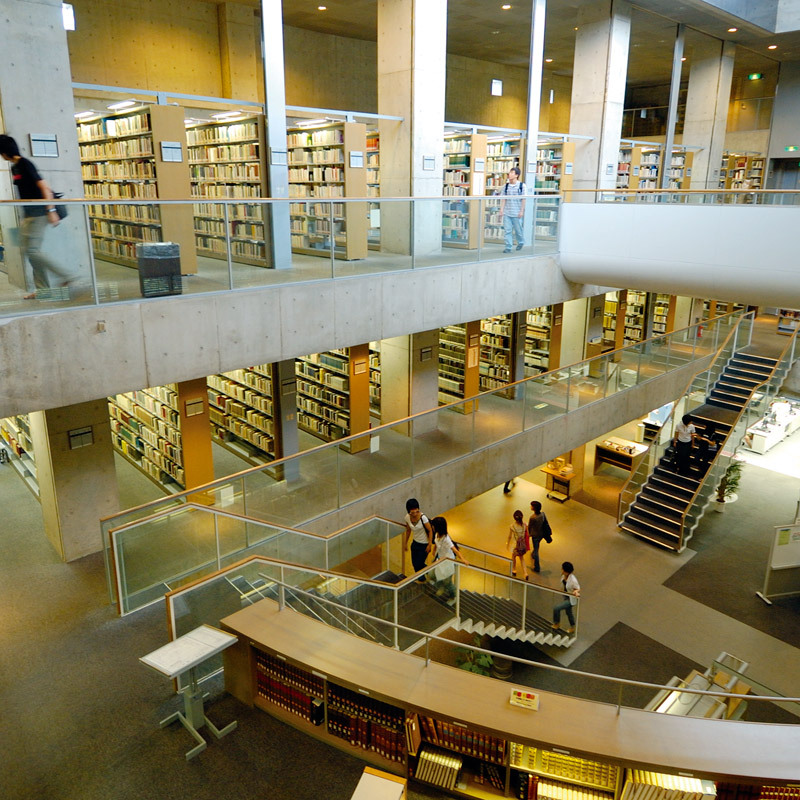 Getting out there gives you a feel of the ambience and environment – is the university urban and cosmopolitan and located in the centre of the city (like “Meidai” aka Meiji University above)? 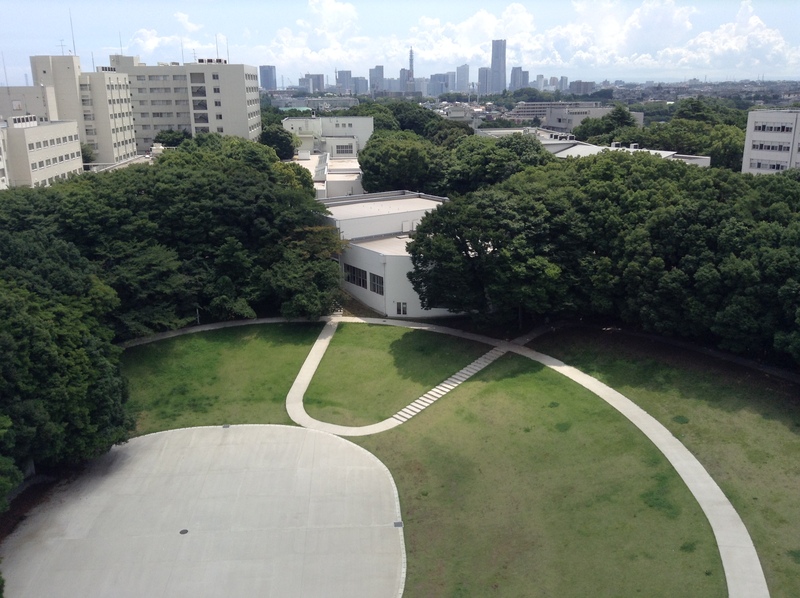 Or does it have a more green and secluded, rural feel, like “Yokokoku” aka Yokohama National University campus(see photos left), or perhaps a bit of both. If the campus is secluded, what is campus security like? With a college-attending son at home, we know that students often work on their projects or models till the wee hours of the morning. They rush to school to hand in projects before the completion deadline, sometimes just before the midnight deadline, sometimes early morning. Safety for the student, especially for females is a paramount consideration. 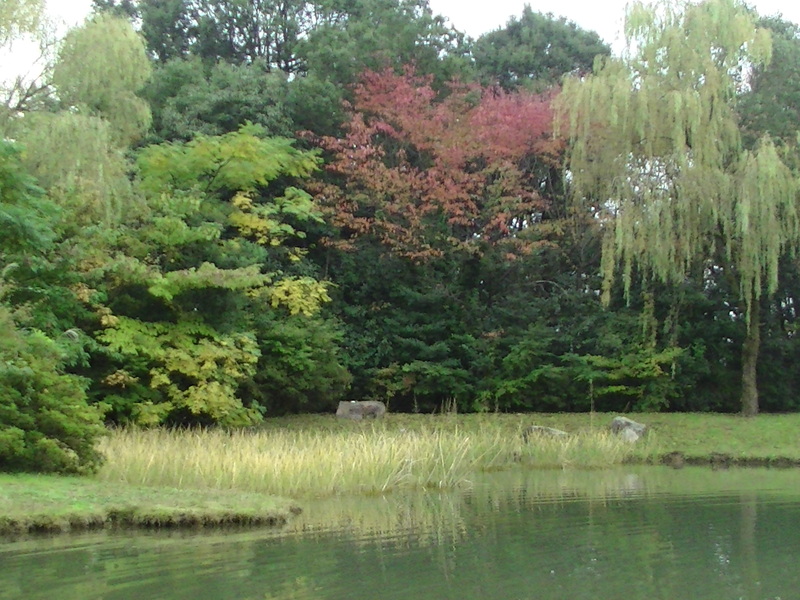 A green lung and breathing spaces (like the lovely large pond at “Shuto Daigaku” aka Tokyo Metropolitan University) on the other hand, can be a lifeline for the stressed out student during exam time or be buffer to the crowds in a large college community. 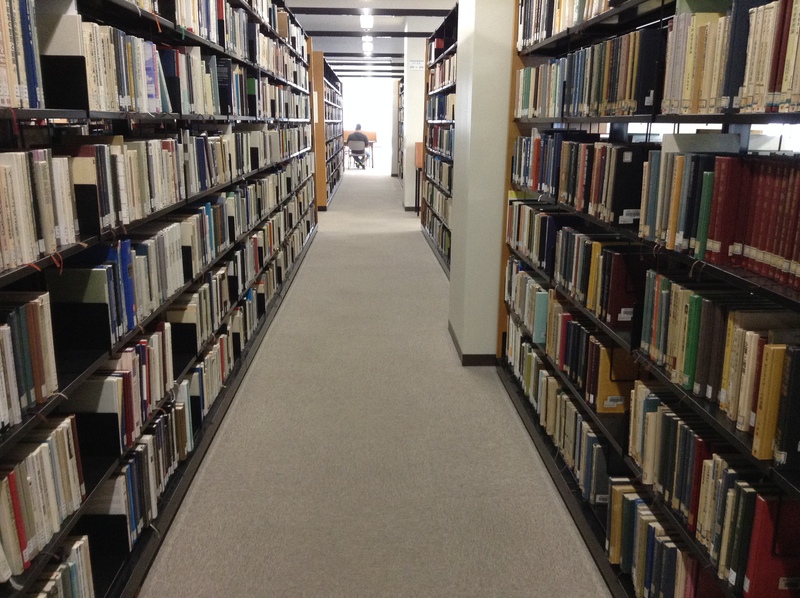 Libraries are often showpieces and selling points for private universities. 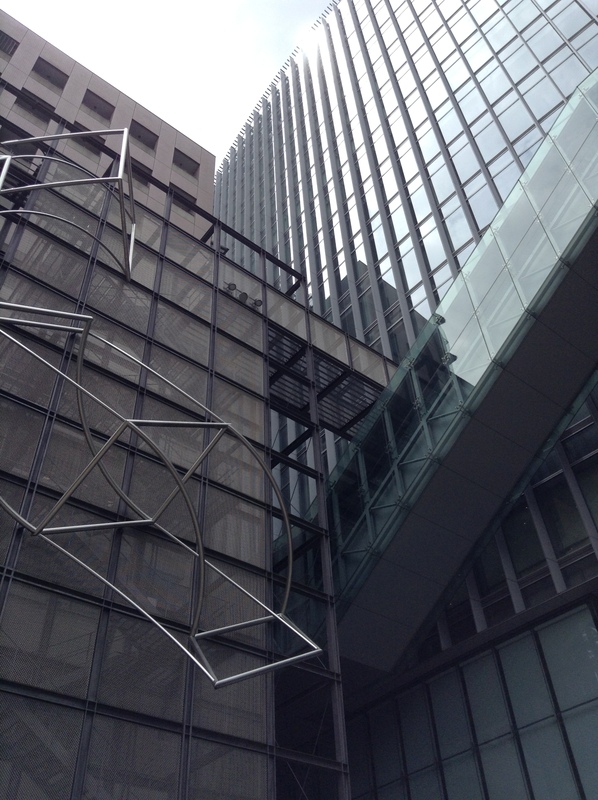 Universities built during the Bubble Era like Shuto Daigaku’s (see photos to the left) tended to have more lavish facilities than those built post-war or after the economic downturn. 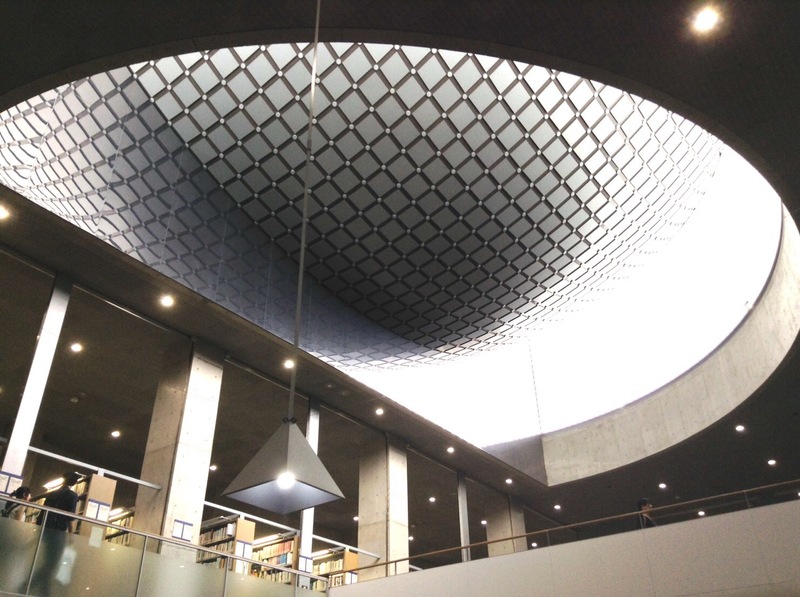 While it doesn’t matter that your university library should possess the architectural “wow” factor, you will be spending a fair amount of time there studying… and as libraries are apt to be overcrowded during exam time, these should at least be functional and there should be sufficient comfortable study spaces for the student population. You will find it beneficial to sit in on at least one or two classes or lectures, especially if you are torn between discipline options. 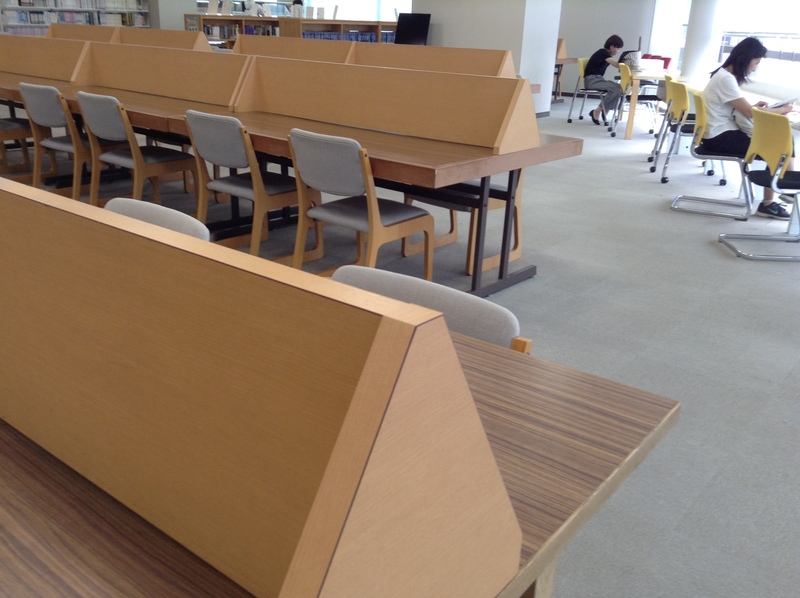 Pay attention to classroom furniture especially if it can be an issue for you as a left-handed student. 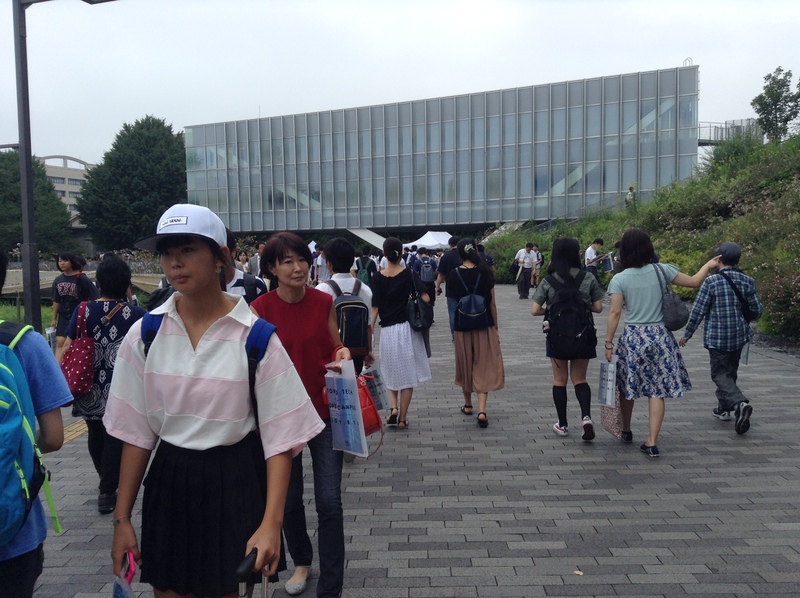 After you have had your tour, like most students, you might enjoy getting off the official beaten tour-path more, wandering around and watching the student life in their natural habitat. Ultimately, most would agree that your priority should be on the quality of the academic program, the teaching and the accessibility of the professors — afterall you(r parents) are paying hefty study tuition fees most likely with a view to your obtaining a real education with expected future returns, not with a view to your enjoyment of resort-standard gyms or pools. In the end, the most eye-opening aspect of the campus visit, for us, was the visit to the faculty labs and studios. Of the two of the campuses we visited, Yoko-koku (see first six photos gallery below) gave us complete walk-in access to the labs and studios, including those of the graduate school’s, while “Tokyo Tech” aka Tokyo Institute of Technology (scroll down to last next six photos) gave us partial access. However, the latter also had better curated exhibits and cleaned up rooms. The access gave us an inside look at students at work, at their interactions with their professors, at their creativity and to compare the quality of their work (viz their peers at other universities). 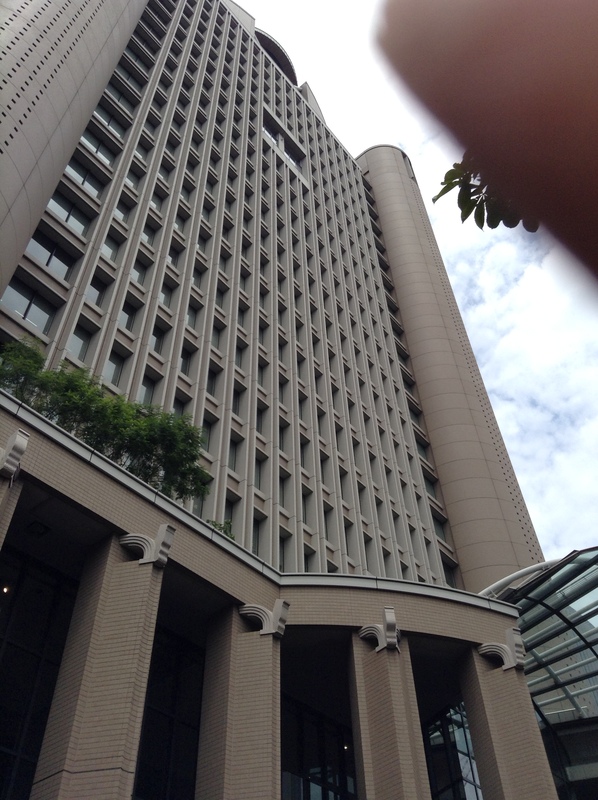 We found the staff of both these universities far friendlier and more out-reaching to us than Meidai’s. 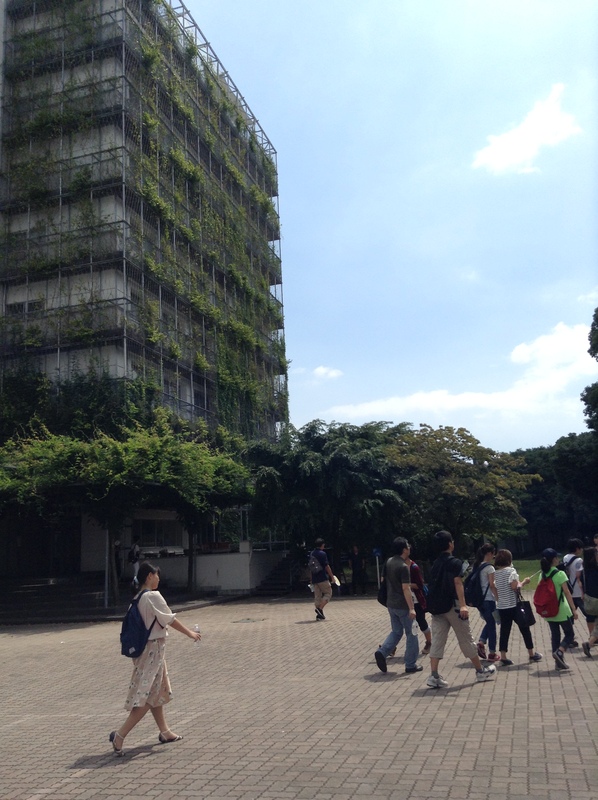 Many in attendance (ourselves included) were impressed by the Ghibili-world-like tower model, and at the novelty of an academic presentation using manga-anime drawings by a student of Tokyo Tech. 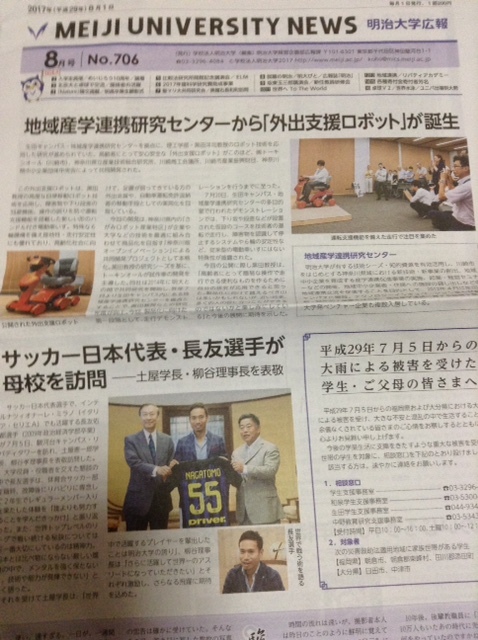 Next, what about athletics, gym and sports facilities, and extracurricular clubs and activities, you are thinking. Is the campus strongly focused on certain sports? Or does it have a balance of sports and academics? This is a factor that caters to highly personal preferences. One of my kids was attracted to the ski club, the other to tennis courts and archery. We were wowed by the magnificent swimming pool and gyms at Shuto Daigaku, facilities that were built before the economic bubble burst. 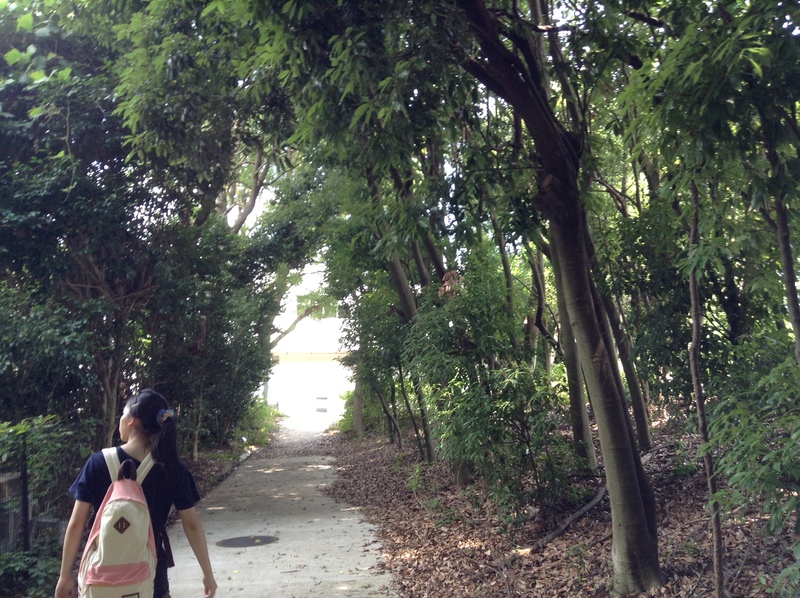 At Yoko-koku, we saw students practising archery and heard karate shouts from the dojo. Don’t just be a “tourist”, engage the campus in every way possible. Speak to staff and students on hand, ask about exchange or overseas study opportunities, career internships and opportunities. 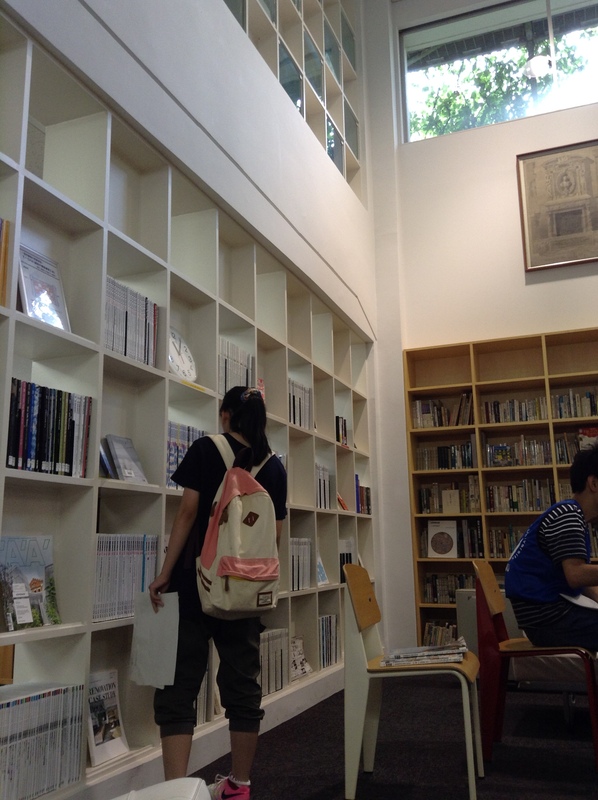 We saw a lot material pasted on walls as well as impressive faculty research or project publications on display for browsing. Posters and bulletin boards on faculty corridors, walls in the cafeteria, student centers give a lot away. What is the student culture and campus climate? What student clubs or organizations have a strong presence on campus? Pick up a student newspaper to find out about upcoming events, guest speakers and what issues matter to the community on campus. 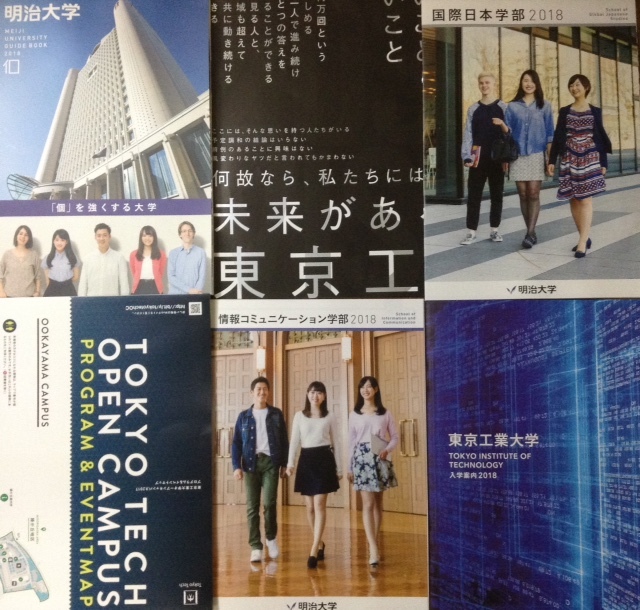 Going for Open Day is also sometimes a good way to save money on the free college brochures and materials they give out, that you might have to pay for otherwise(policy differs depending on the university). Not forgetting food cafeterias and restaurants and off campus recreation. On-campus convenience stores or supermarkets matter to students who love food, or who spend a great deal of their time or who live in dorms on campus. Of the four campuses we checked out, three were in close proximity to vibrant city life, while two of them were secluded and far from city centres. Study groups and activity clubs often cement friendships and networks for life, access to a hub of cafes, bowling alleys or other places where trendy young people gather, helps foster social life. Chances are, after every exam, your group of friends will want to head out with you to the town or city for something fun to do. 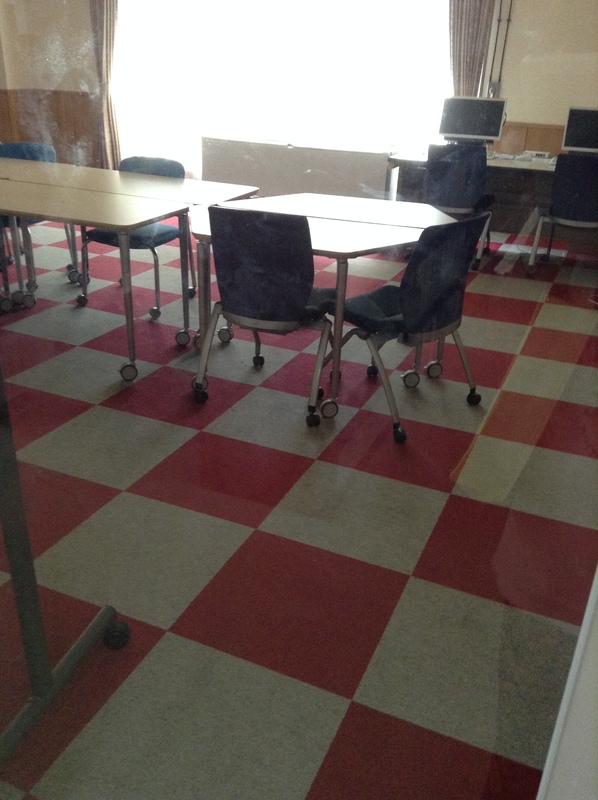 We eavesdropped on many of the conversations students were having. We particularly enjoyed eavesdropping on a guided tour of the university museum by a professor of Meiji University’s archaeological department. Beyond merely perusing websites and brochures, college visits can often be deal breakers in the decision to apply to or attend a school. Make notes of your impressions of the place and course—it may help you with the college essays and interviews at a later date. It may help save time and avoid confusion to find out before the visit find out what classes are available for prospective students to visit. College guidance directors and counselors will tell you: “Don’t judge a college until you have engaged the campus.” Speak to current students and ask them what they love most about their school, or what they would to see changed. Where professors offer tours or talks in your area of interest, how impressed were you by the professors you met and the classes you attended? 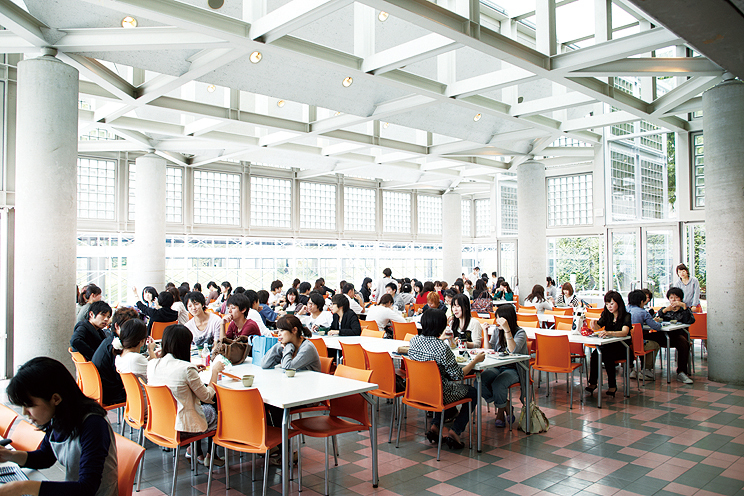 Attend classes, lectures and talks, go to club meetings, eat in the cafeteria as we did (350 yen for a bowl of ramen! ), and sleep in the dorms, if possible. The college visit, by the way, is often the key trigger that launches the student into the final sprint mode before the admissions exams … as he or she walks the hallowed hallways to his/her dream university. Happy Campus Open Day! By Aileen Kawagoe, who is writing this post as a mother of a prospective college-goer, but also as a career guidance counselor.